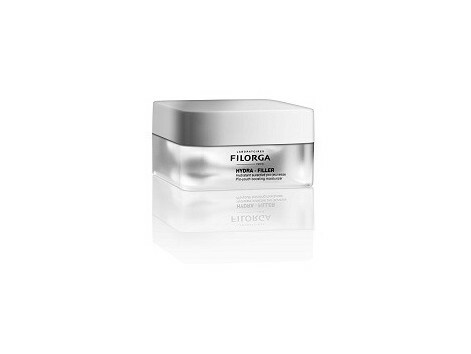 Filorga Hydra-Filler 50ml REJUVENATING MOISTURIZER PROVIDES A deep skin REHYDRATION EFFECTIVE MICRO-TOPPING smoothing features. contains - Polirevitalizante Hyaluronan. 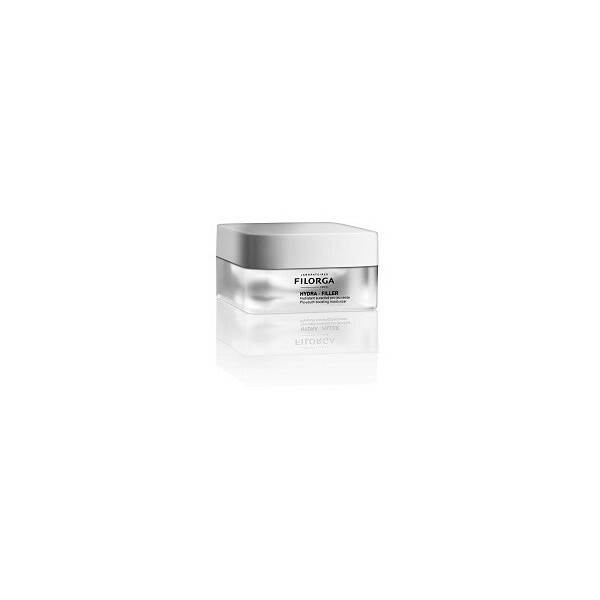 - Micro-fragmented hyaluronic acid to densify the skin. - A complex relipidizante to enhance non-hydroxylated ceramide synthesis (+256%) and reprogram the process of natural skin hydration. Wrinkles and dehydration lines are reduced and skin looks radiant. How to use: Apply generously morning and / or evening on face and neck after cleansing thoroughly. Make penetrate the product with fingertips. Ideal as a makeup base.